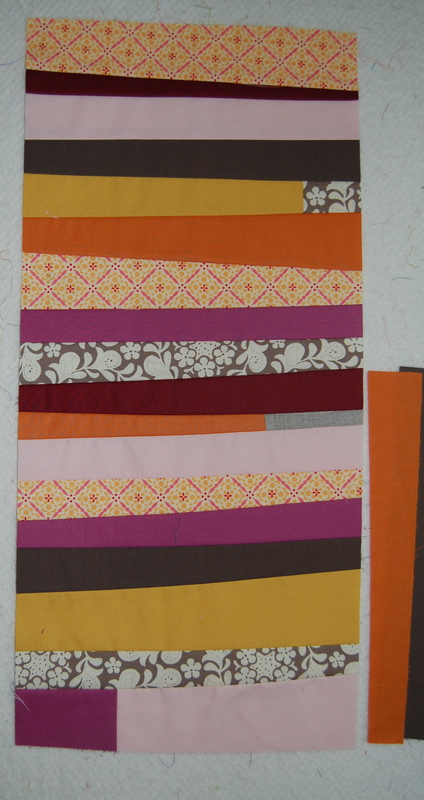 I became very “autumnally” (pretty sure that’s a real word) inspired recently in my sewing room and came up with a new color combination for my next quilt. The funny thing is, I’ll probably finish it around that same time the new leaves start returning to the trees and the spring rains come. My hubby thinks this is the most awful color combination he’s seen so maybe that will be my motivation to finish it; get it off the design wall, that is located where he has to see it daily, and thus make his usual commentary-:-)! His negative reaction motivated me come up with an alternative color combo. 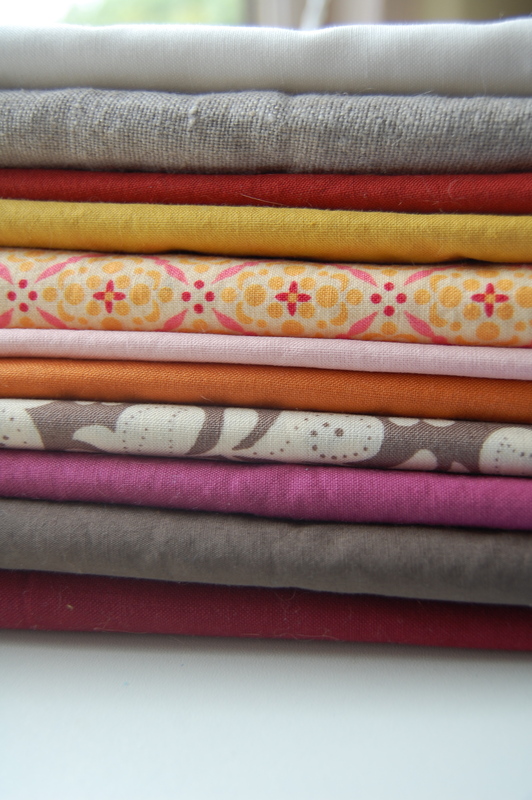 So I’m loving the lack of print in this collection of fabrics. Now I have two quilts I want to make instead of one! I would say that kind of backfired on him-ha!! 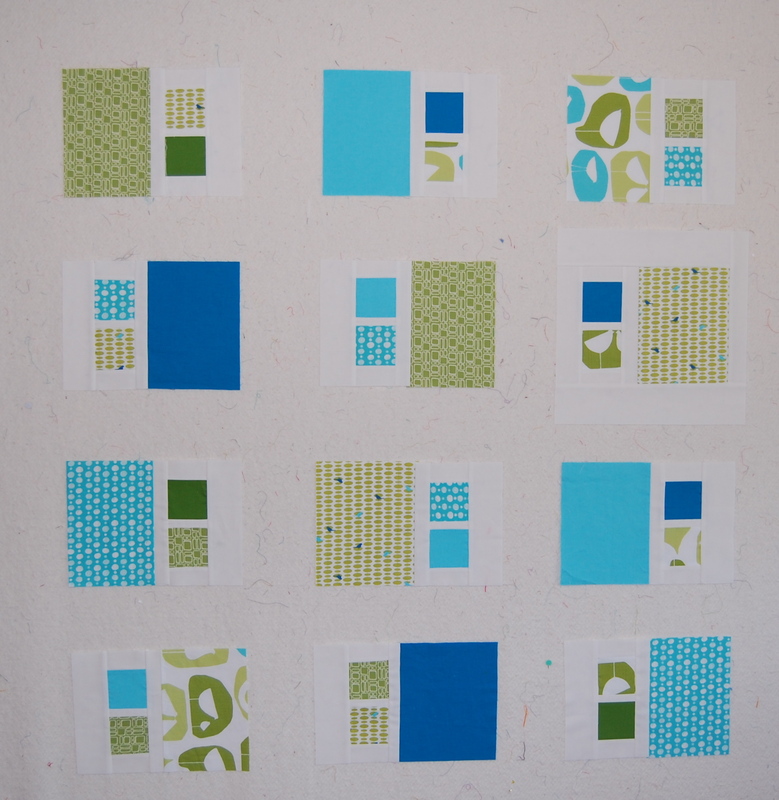 I’m just doing a very simple improv design…..
that should actually come together pretty fast, fast that is, once I get birthday quilts and halloween costumes finished, not to mention…..
this quilt, currently also taking up space on my design wall. Lots of decisions to make still on this one. Time to step away from the computer and get busy! However, we are experiencing the most glorious, 90 degree fall day here, the girls and I might just end up at the beach later and bag the sewing projects all together . 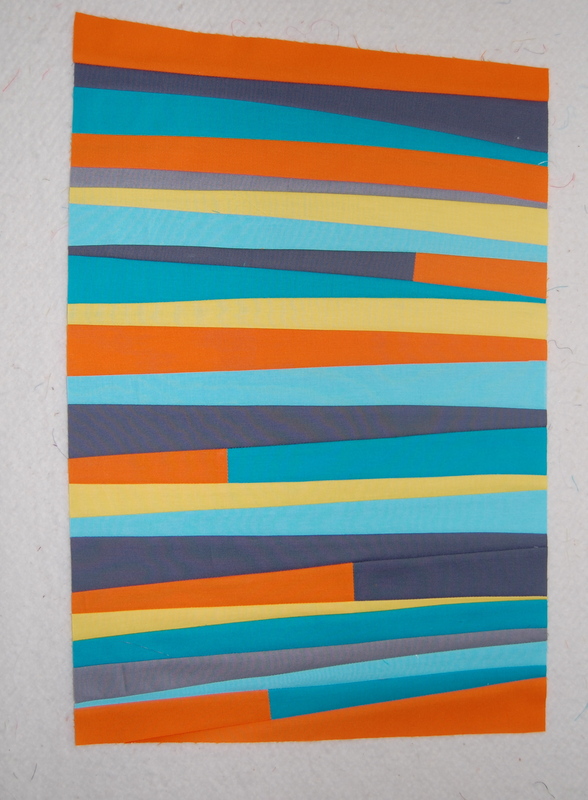 I especially love the blue/yellow/orange/grey combo block! So fun to meet you last weekend. Thanks for coming up to say “hi”. I wish I had had more time to chat. Love your quilting style! I love these. What talent! Love, love, love the solid mix! Holy catfish, woman. Could you send the finished quilt my way? I promise to love it, squeeze it, pet it, and call it George. LMAO, Thanks for starting my day off with a good chuckle-Ha!!! Glad you like it; more inspiration to get going on it!!!! These are wonderful! 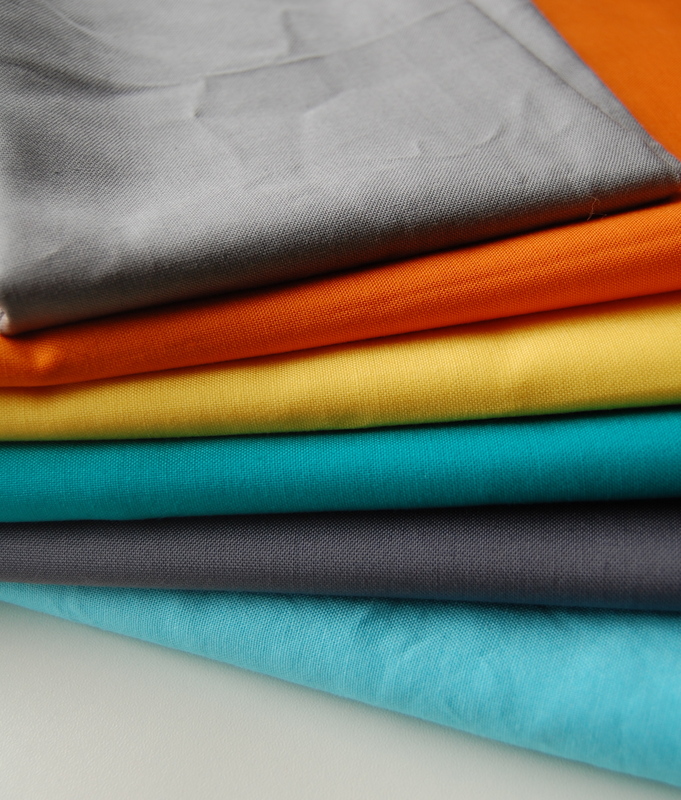 I’m really loving your use of solids, and I think all three are just gorgeous! love the improv with solids. Super cool!